Blogs and social media feeds often romanticize different lifestyles. The "van life" scene leaves out the rust holes, how every single item will wiggle and move while you're driving, and shitting in the woods. For the record, I haven't dealt with that last one just yet. 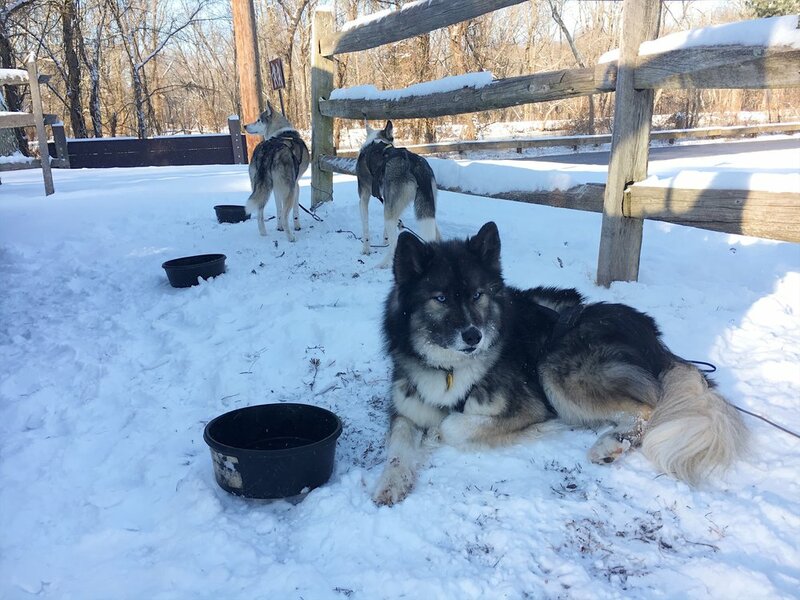 When I share my mushing experiences, I try not to use rose-tinted glasses. Except my photos don't show the tangles, the bruises, and the stress. Waking up before dawn when it's below 20°F is never easy for me, but this morning was especially hard. It took every molecule in my body to get out of bed. I had a restless night, full of weird and unsettling nightmares. Usually I snap out of my morning grogginess once I'm dressed, but this morning was different. I started to question the decisions I made that lead me to this lifestyle. I wanted to crawl back into bed and disappear, but I knew I'd only feel worse if I missed an opportunity to run on snow. So I loaded up the dogs and away we went. Once I had my feet on the runners, every ounce of doubt and existential dread melted away. The dogs were flawless and the trail was beautiful. This was exactly the run I needed to clear my head and calm my freaking soul. We ran almost six miles, including parts of the trail we can't normally reach on the dryland rig. The area is designed with mountain bikes in mind, so there's a number of narrow bridges with no railings. The rig is too wide to make it over (and I usually don't like fording the streams), but the sled can make it without much problem. When we got back to the van, a few strangers walked up to say hi to the dogs and ask questions to me. 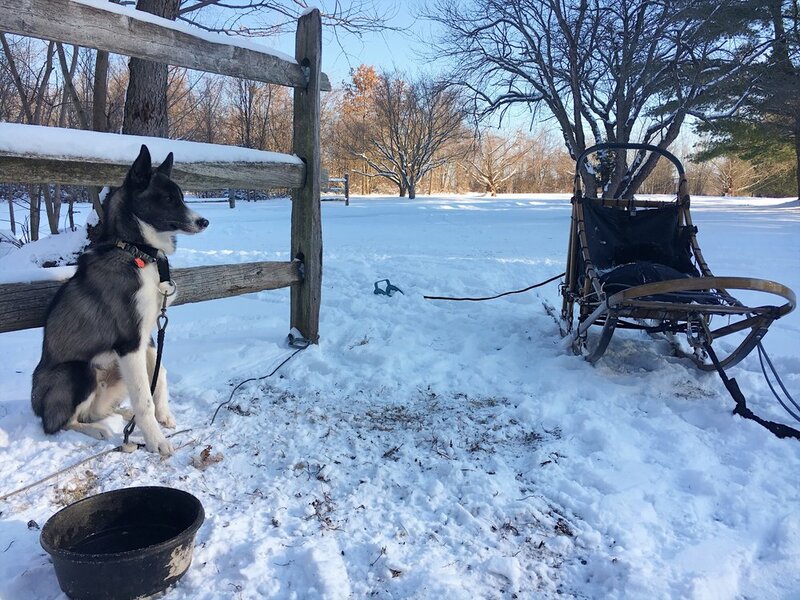 As lonely as mushing can sometimes be, there's plenty of opportunities to meet people and share this weird hobby.